The HarekAct editorial board attended the 16th kritnet conference in Göttingen between 11-13th of May. It was a very good occasion to share and exchange knowledge, meet our friends, activists and colleagues again and discuss future projects and plans. We took part in the workshop titled “Post 2015 Border Regime – Re-Stabilization of the European Border Regime after the ‘Long Summer of Migration’”. We discussed the extension of borders into the cities following the example of Istanbul; the state of the border regime and public debate on migration in Turkey; and the impact and future of the EU-Turkey statement for both Greece and Turkey. Besides the individual inputs, we had a rich collective discussion with various perspectives, information and experiences brought by activists, researchers and professionals from Germany, Turkey, Greece and Kurdish region, and we are looking forward to keep building on the ideas we had as well as the connections we built there. Although with a little bit of delay, now we would like to share our contributions to the workshop one by one. Enjoy the inputs presented by HarekAct editors in written and updated form in our blog. Keep posted! With the so-called “summer of migration” three years behind us, and the European borders still sealed tight, it seems a good opportunity to remind ourselves of where these migrants are currently waiting, and what has happened since then. With this intention, I will here try to present an overview of the post-2015 migration context and the related management regime in Istanbul, Turkey. 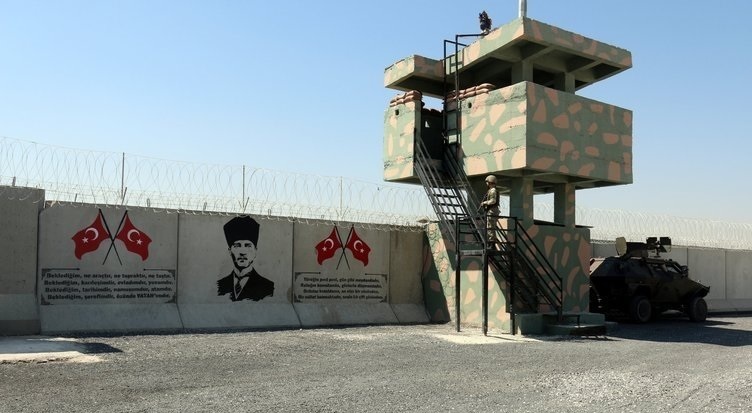 To set the time frame, it should firstly be highlighted that Turkey’s “open border” policy on the Syrian border was effectively ended by March 2015, and was replaced with the militarization of border security through the erecting of border walls. Border wall at the Turkey-Syria border. Photo by: sabah.com. 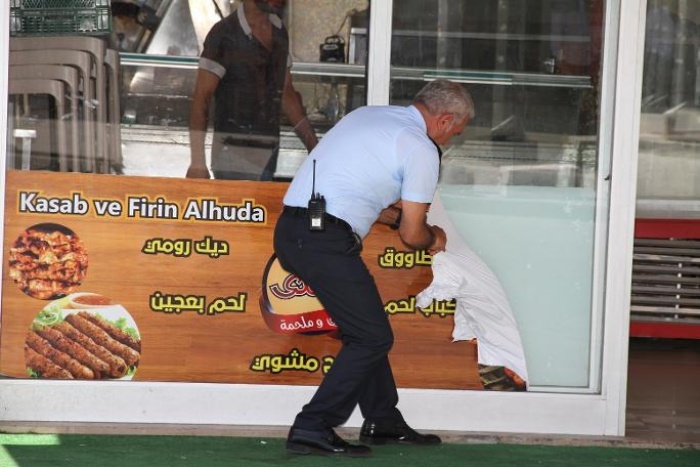 Via Turkish Minute (from 29th June) – Officials from the Esenyurt Municipality in İstanbul on Friday removed signs in Arabic from district shops, in a neighborhood densely populated by Syrian refugees, in line with a recently adopted Turkish Standards Institute (TSE) rule that says the Turkish language should be a priority in signs. The TSE announced in March that if shopkeepers want to use foreign languages, the type size of those words should be a quarter of the size of Turkish type. Via Relief Web – Turkey hosts the largest number of Syrian refugees, almost half of whom are women and girls. This rapid review looks at available evidence on how Syrian refugee women, girls, and people with disabilities have been affected by the response to the refugee crisis by a variety of actors, including the host government, international actors, and host communities. Refugees in Turkey face a number of challenges, with female refugees and refugees with disabilities facing additional gender and disability specific barriers. Poverty is a major issue for refugees, with nearly 67% living below the poverty line. With some candidates pushing an anti-refugee line, many asylum-seekers welcome the Turkish president’s electoral success – but not all. Via Middle East Eye – While Turkish citizens headed to the polls in high numbers on Sunday to vote in presidential and parliamentary elections, millions of refugees living in the country waited for results with bated breath. With a refugee population estimated to stand at 3.9 million – the largest in the world – many saw their fate hanging in the balance. STUCK – They fled for safety, only to live in limbo. Click here to see the whole story at Huffington Post and explore eight individual stories in the project, each on a different aspect of the asylum system in Turkey. “They have the right to vote but I do not know how many of them will use that right. They are our guests and they will return to their country,” the prime minister said. He stressed that the Syrians in Turkey “must obey the Turkish law.” “If they do not, then we will take them by their hand back to where they came from,” said Yıldırım. Via Ahval – The number of Syrians registered in Turkey grew by over 600,000 between the end of 2016 and the end of 2017, making them 4.2 percent of Turkey’s population, according to figures from the country’s Directorate of Migration Management quoted by left-wing newspaper BirGün. The figure increased from 14 thousand in 2012 to 2.8 million in 2016 and has risen again to 3.4 million in 2017. Via The Black Sea – By Zeynep Şentek and Craig Shaw. By Garib Mirza – Garib Mirza is a freelance researcher, whose studies focus on the ongoing conflict in Syria and recently on the Syrian refugees. He has worked for independent Syrian research centers and think tanks. ‘It’s Europe!’ a Syrian youth responded when a France 24 reporter asked him in 2014 why he and others set out on the arduous path to Europe. ‘It’s Europe!’ seems enough of an answer to the question and perhaps it is the best expression of many refugees’ and asylum seekers’ ‘European Dream’.